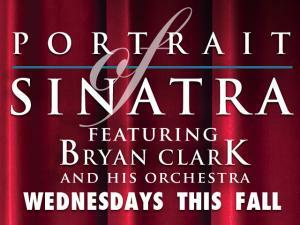 In Portrait of Sinatra, multi- talented performer Bryan Clark salutes some of his favorite legendary performers – Frank Sinatra, Tony Bennett, Nat King Cole, Dean Martin, Sammy Davis, Jr. and more. This singing impressionist is a nationally known artist who keeps alive the music of class, and the attitude of cool. Join us for a tribute to the golden age of swingin’ and singin’ when Bryan Clark and his Orchestra pay tribute to some of our greatest musical legends. On stage September 1, 8, 15, 22, 29 and October 6.